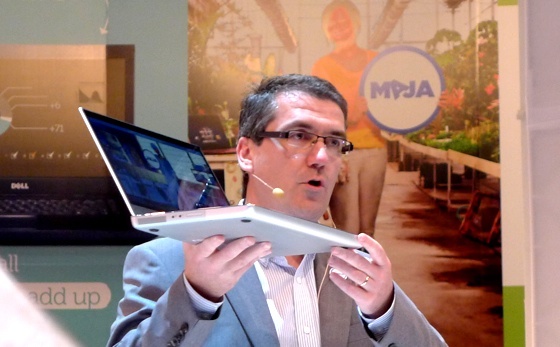 Dell has developed a new model of XPS 15z, but into a smaller version of 14inch. The 15 inch model though was liked by many, but because of its bulk model the portability was quite affected. So now Dell might have thought the 14inch to be a better option for the same model. Now here at the IFA press conference, the company just introduced the XPS 14z model which will be available by the end of this year. From the looks of it, it has the same industrial design as its big brother. The specifications of the model are not revealed in the conference. They might be known only when the machines will be on sales on their website.